Today was the first day of rehearsal with Ying Zhu. Ying and I met in France; we’ve converged in Florida to jump-start a new solo for her. 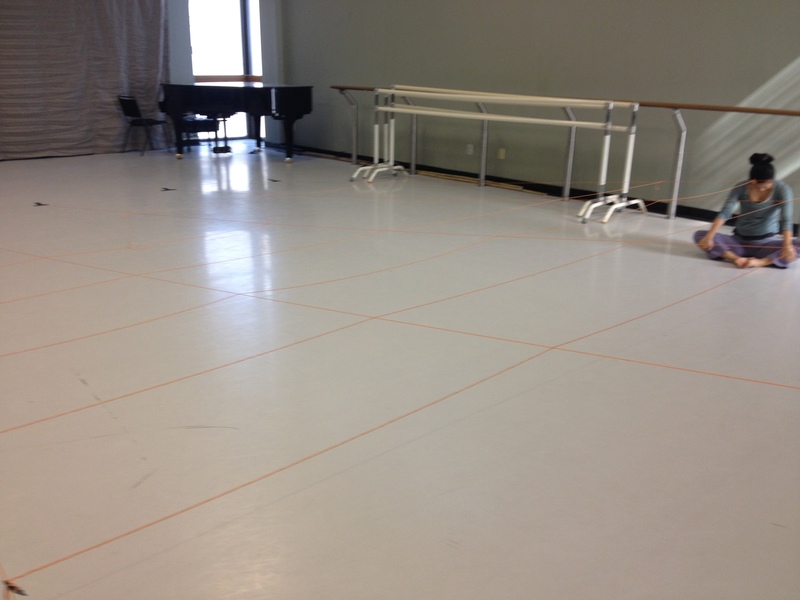 She is dancing in a grid of orange string that flies diagonally off the floor, from downstage to upstage. It serves as both container and score for this work.